What is dengue and how is it treated? | Treatment of Dengue? Dengue is attacked every now and then. Despite all the precaution you may have been seeing that people are being hit by it in a big count. Only a mosquito bite gets dengue and it gets worsened or it is not treated properly during the time, it also leads to death. There are reports of dengue deaths every year. Dengue prevention is the biggest remedy. To avoid dengue, you have to do two things, one has to save yourself from mosquitoes and if the other thing becomes dengue for some reason then it is time to identify and treat it. Dengue female Aedes is caused by mosquito bites. There are four types of dengue viruses. If a person has dengue and bites a mosquito, then the dengue virus also goes inside the mosquito. 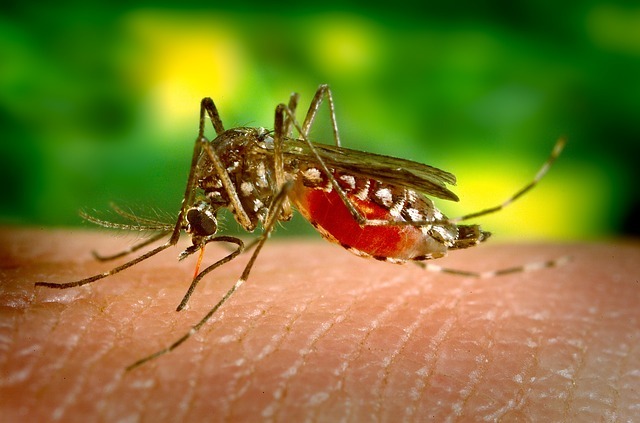 In such a way, when the mosquito bites another person, the dengue virus goes inside that person. In this way, the virus of dengue reaches one person from one person to another. We told you that dengue viruses are of four types. Any kind of virus can cause you dengue. The virus that causes a dengue due to the virus causes the virus to reduce the density of the dengue again due to its treatment because the body has the strength to fight it. Otherwise, if another type of virus is attacked, It is possible. If someone gets dengue twice it can be more dangerous than the first one. Dengue has a very high fever. It seems cold. A headache and body pain There is also a pain in the joints of the body. Hunger looks less and feels like vomiting. If the attack of the virus increases, then the red color rises on the body also emerges. What is the treatment of dengue? There is no medicine yet to fight the dengue virus. Normal paracetamol is given in it. Be careful not to use aspirin and broken. Our body has the power to fight the dengue virus, we just have to support it. If there is a dengue then definitely check the patient's platelet and keep an eye on him. In general platelet count is between 1.5 lakh and 4 million. In the person who gets dengue, their counting starts falling very fast. Because of this, our blood becomes so thin that it can start flowing from anywhere. This causes death from dengue. Usually, there is no need to recruit the patient till the platelet count of up to 50 thousand. According to the World Health Organization, if a person's platelet count comes to 20 thousand, it becomes very important to make platelets. Platelets grow very fast. Below are ways to increase platelet. If you show a little since then you can cure the patient at home. It will not be possible to go to his hospital. It is just imperative that you identify the symptoms of dengue immediately and start treating them. 1. Give the patient a lot of liquids throughout the day. Do not take any lemon juice, orange or seasonal juice, glucose at all. Drink coconut water too. This is the best way to fight dumb. If you keep doing this then the patient's platelet will not fall. Apart from this, the decoction of Giloy can also be brewed. 2. Take a six-inch piece of beetle made of Gilo's bell which is neither too thin or too thick. Make small pieces of it and boil it in about two glasses of water until the water is halfway. When the water cools down, give the patient two to three times. This leads to platelet growth. 3. If you have papaya leaves then their juice can also drink. Grind the leaves of papaya finely and grind it on the granule or sieve. Then bundle it in a cotton cloth and squeeze the juice of leaves. If two teaspoons are out, then it is fine. By adding a little mineral water, you can also blend it in the machine. If completely blended, then filter it. The methods are very few brains, then you will understand how the juice of papaya leaves will emerge. 4. Overall, if it is said to be dengue, then life is deadly but only when you do not recognize it or take it lightly only. Keep in mind that there is no such drug in dengue that contains aspirin or Brufen. Drink lemonade, coconut water, juice, and so on.